Battambang and Siem Reap are two of the nicest spots that Northwestern Cambodia has to offer, and each is worth visiting. 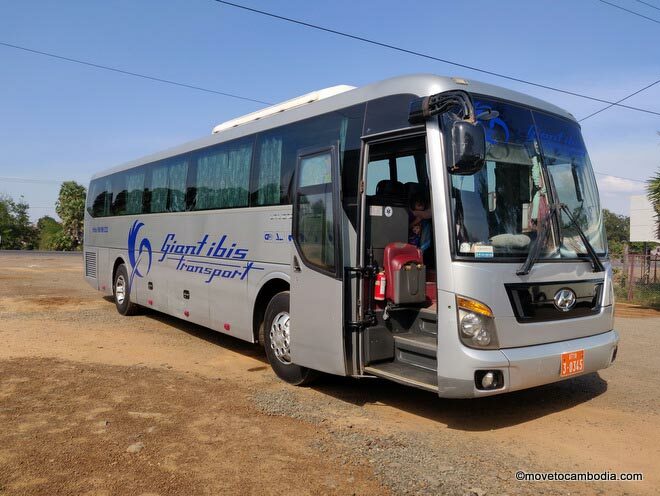 Battambang and Siem Reap are only 48 miles (77 km) apart, but the trip can take as long as four hours due to the fact that there’s no direct road–all of the buses route through Sisophon — and up to eight hours by boat. Here we cover how to get from Siem Reap to Battambang (and vice-versa), including boat, taxi, and bus. 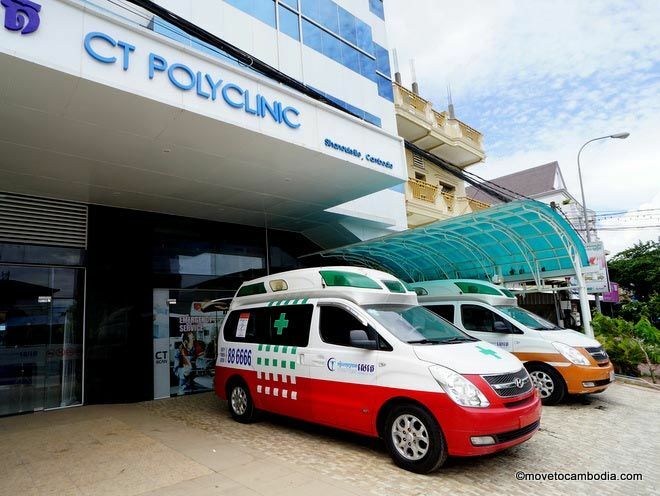 Heading to Battambang? 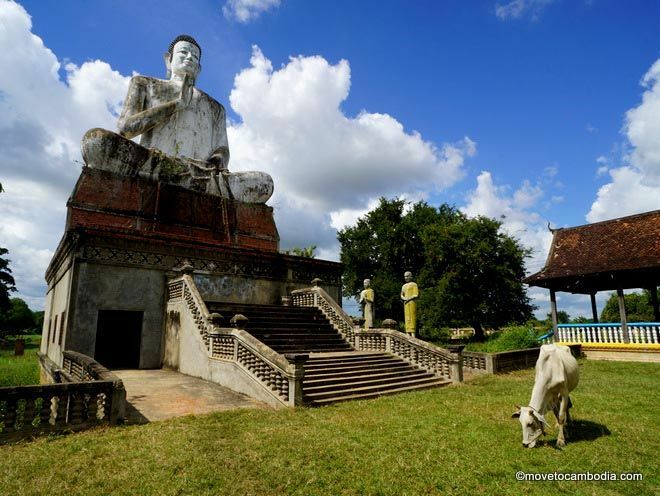 Check out our expat guide to Battambang with hotels, activities, transport and more. Seen Siem Reap? Now it’s time for Battambang. The hardest thing about being a vegetarian in Cambodia is fielding the question “How do you do it? It must be so hard!” every day. Thankfully, it’s not hard at all to be a vegetarian in Battambang, and almost every tourist restaurant has vegetarian options on the menu. 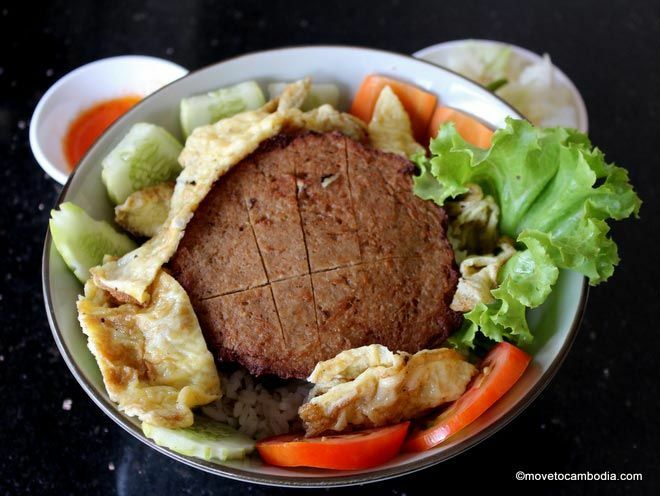 In this post, I’ll cover the best vegetarian restaurants in Battambang that cater specifically to vegetarians and vegans, and a few runner-ups that I’m including because of their super special vegetarian menu. Look around and you’ll see Khmer New Year, Chol Chhnam Thmei, being celebrated around the country. 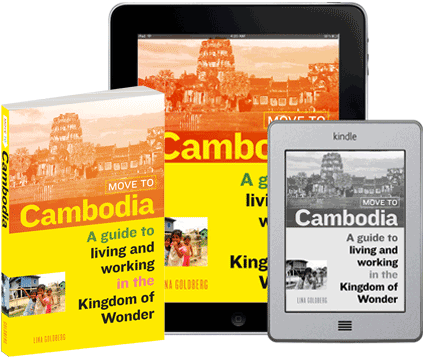 The holiday is Cambodia’s most important, bringing the country to a near standstill as city residents head home to the provinces to spend time with their families, have parties and visit their local pagoda. 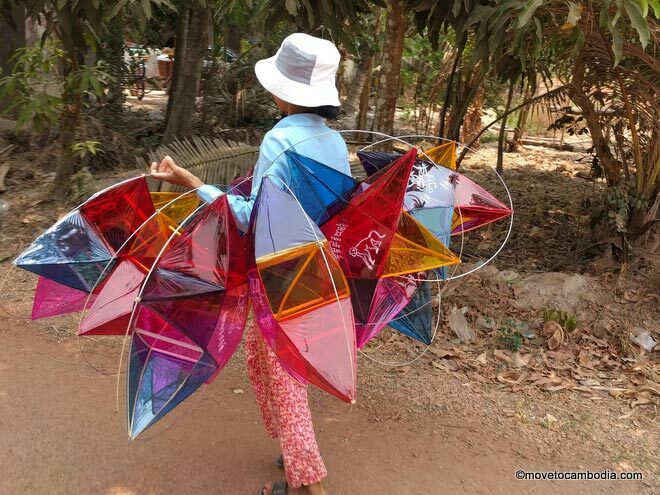 Khmer New Year “stars” being sold along the side of the road in Siem Reap. Most families get one to hang outside of their home. Looking to escape the city for the day? Every so often you need some time away from the droves of tourists and the soundtrack of Khmer weddings for a little breath of fresh air. The following is a list of easy day trips from Siem Reap that will provide that bit of (relative) peace you’ve been craving. 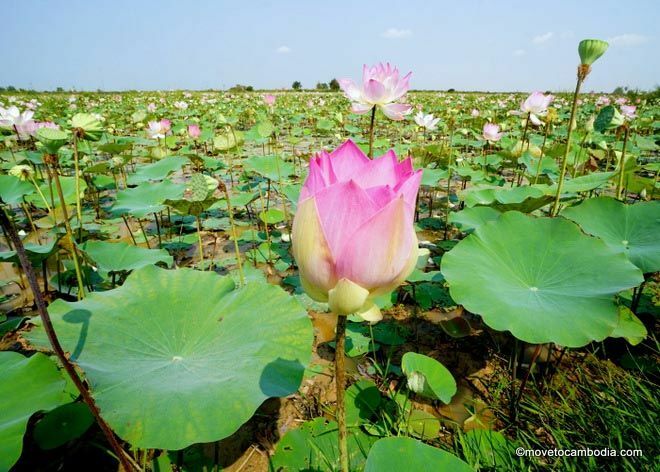 Lotus flowers as far as the eye can see. There are a couple of easy ways to go from Phnom Penh and Siem Reap (and Siem Reap to Phnom Penh) in 2019. There are options to fit every budget, but some are nicer than others. Right now the road is in great condition and it’s a smooth ride, unlike in years past. The journey by road usually takes between 5 and 6 hours, depending on your mode of transport if you go by road. 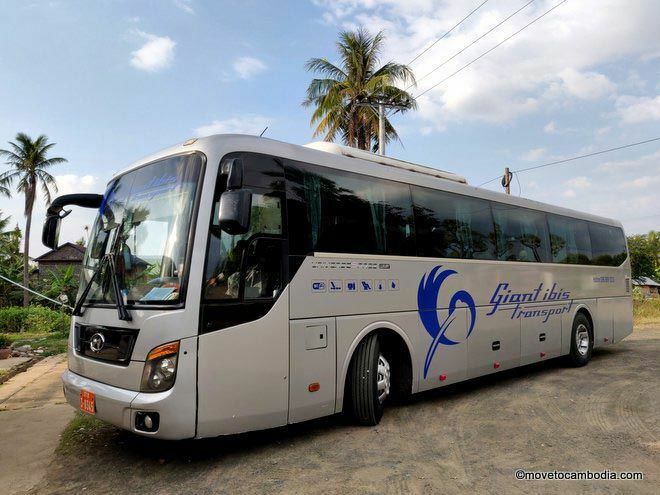 Check out the view on a Giant Ibis bus between Phnom Penh and Siem Reap. Taxi: Costs $65-100. Most comfortable option. Best balance of price and convenience. About 5 hours. Bus: Costs $6-15. Smoothest ride and best views. About 6 hours. Mini-bus/van: Costs $9-12. Faster than the bus, but more cramped. About 5.5 hours. Plane: Costs $30-120. Fastest method, but domestic flights are unreliable. About 1 hour. Ferry: Costs $35. Best scenery, if you sit outside. About 8 hours, sometimes more. 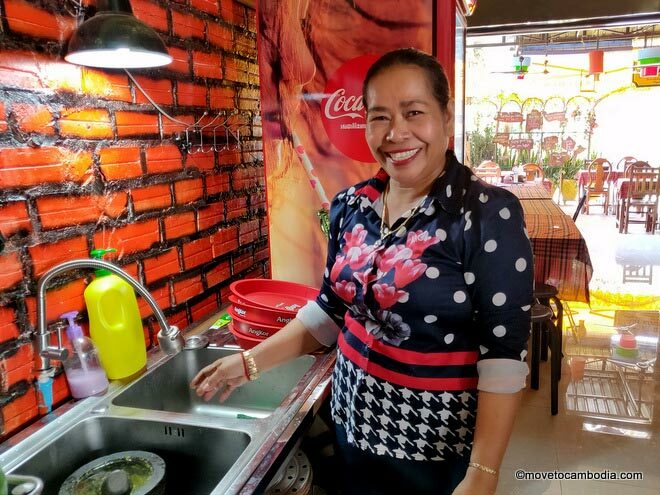 For travelers to Battambang, the chief attraction of Nary Kitchen is its namesake, Nary, and the kitchen, both for its cooking classes and reputation for safe food that doesn’t upset sensitive foreign tummies. The staff are happy to let you check out their gleaming kitchen, which makes for a reassuring start to a meal. The restaurant is also one of the few in Battambang with genuine vegetarian dishes (it can be hard to avoid fish and oyster sauce elsewhere!). 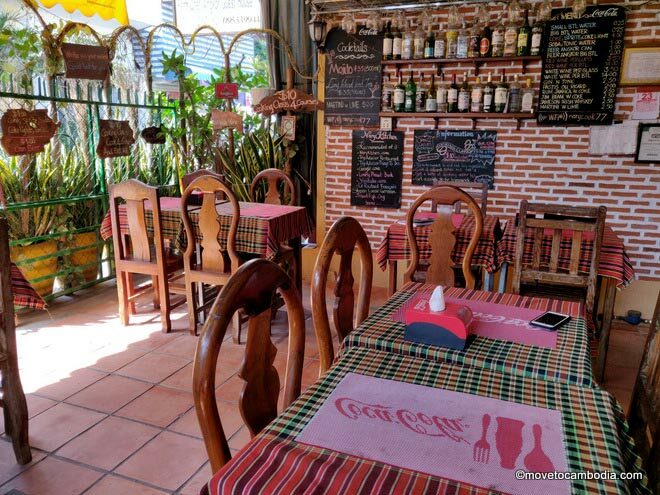 Located down a side street in Battambang, Nary’s has a quieter atmosphere than restaurants in the town center. The restaurant’s fare includes Khmer traditional food, as well as other typical Asian and Western dishes. Fish amok is a specialty, and fresh spring rolls are always popular. On average, a main meal will cost you about three dollars. 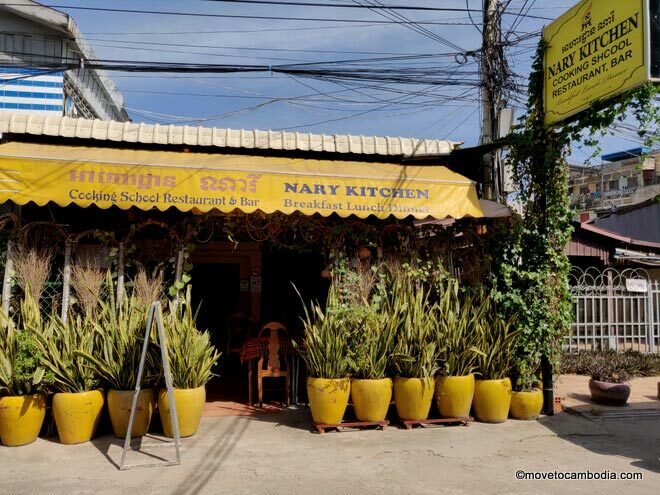 Nary Kitchen is also Battambang’s original Khmer cooking school. It’s run by genial, talkative Doot, who is fluent in English and French, and his wife Nary, who oversees the cooking. Nary learned her recipes on the family farm as a child. Nary herself, after whom the restaurant is named and who runs the cooking classes. Classes, which cost $10, are preceded by a shopping trip to the market, to show you how to identify the freshest local ingredients. Classes teach you to cook four courses including a dessert. The class takes three hours and you get to eat what you make and a recipe book (in English and French) to take away. When we visited, the menu they were making included fresh veggie spring rolls, fish amok, beef lok lak, and a banana and tapioca and coconut milk dessert. Sit down and stay for lunch! Nary Kitchen is on Street 111, near the western end of Psar Nath (the main market). It’s easy enough to find, but you if needed your tuk tuk guy can phone for directions. Don’t let him mix it up with ‘The Kitchen,’ another eatery. The restaurant is open from breakfast until 10 p.m., or often later if everyone is having a good time. Cooking classes are twice a day, in the morning from 9 a.m. to 12 p.m. and in the afternoon from 3:30 until 6:30 p.m. and cost $10 per person. It’s best to book for the cooking school in advance ([email protected] or 012 763 950). Open daily, 8 a.m. to 10 p.m.